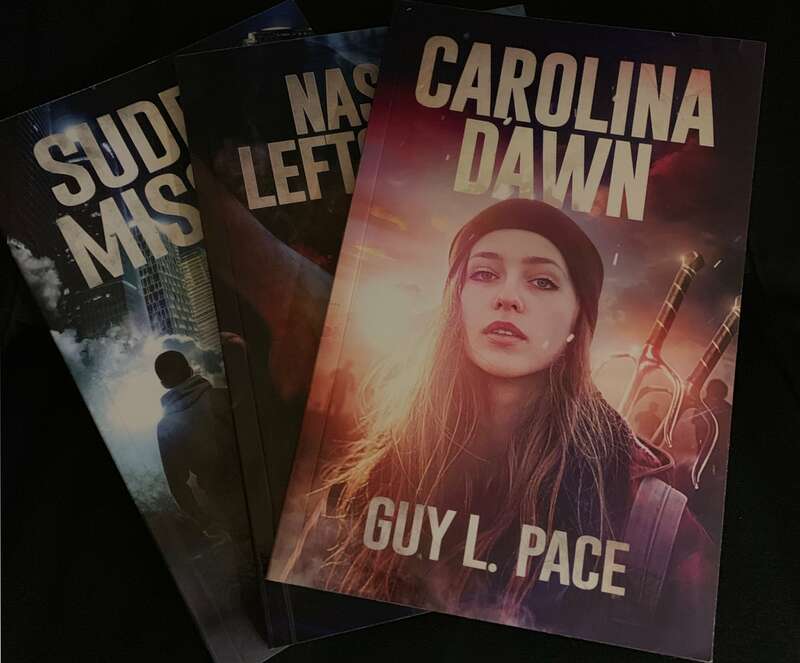 I added the e-book versions of Sudden Mission, Nasty Leftovers, and Carolina Dawn to Kobo and Barnes & Noble (Nook). Check out the book pages to see the new links. Originally, the first two books were on those sites, as well as Apple’s iBook (now Book) store. I’m still working on getting the books on Apple’s store, but not sure things are going as I’d hoped. Since I had almost no sales on that venue before, I won’t be putting out much more effort there. Barnes & Noble have been hosting my paperbacks all along, including having the correct cover on the display page. Now, the e-book is there, too. This little post is just to keep you up to date on where the books are available. Lately, the paperbacks have been selling well. Recently, all three (paperback editions) were in the top 10 of Amazon’s Teen/Young Adult Christian Science Fiction category. That was fun!